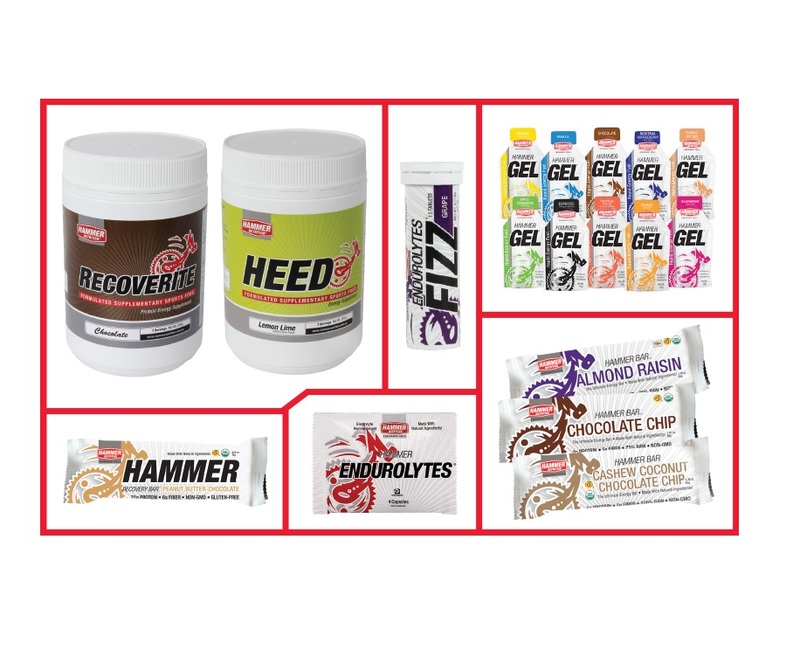 Traditionally cyclists are one of the biggest end users of Sports Nutrition. 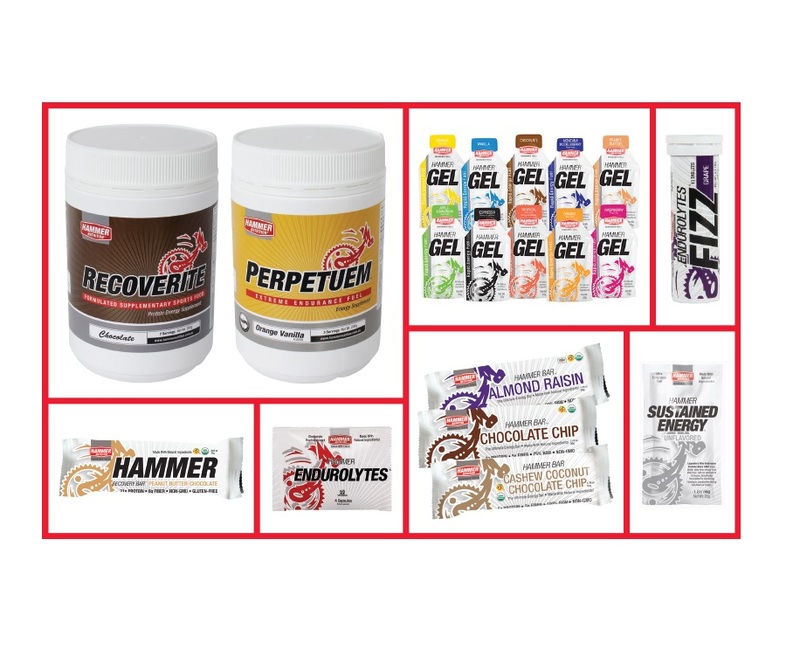 An endurance Cyclist requires the best endurance Sports Nutrition available. Choice of nutrition is crucial – no rider wants to endure prolonged suffering during their event. 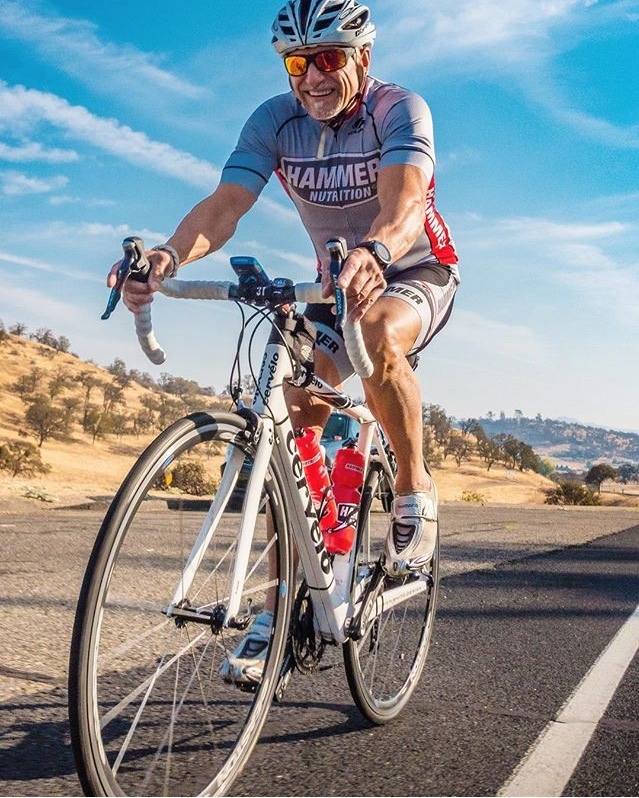 Hammer Nutrition has been a forerunner in the development of Sports Nutrition for cyclists for the past 25 years with outstanding results. 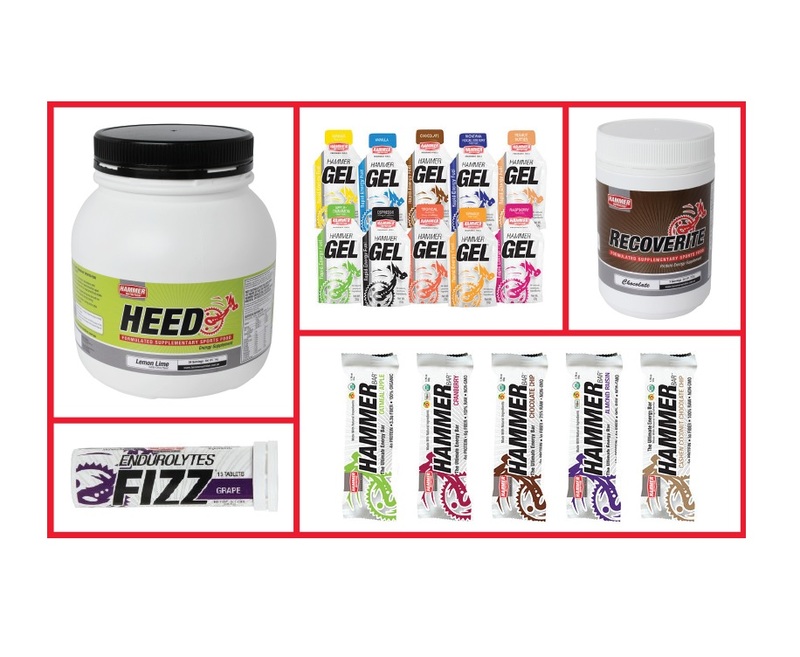 Hammer Nutrition only uses ingredients which specifically aid the athlete’s performance. You will not find simple sugars, artificial colourings / flavours, preservatives or anything that can harm the athlete’s performance. These 4 things take the confusion out of your nutrition. Consumption should be limited to between 120 calories and 180 calories / hour (502 – 753kj). This is the upper limit of calories you can comfortably digest when your body is under stress. Any more than this amount can cause stomach distress. Proper Hydration (water intake) is essential. Both under and over hydration can cause serious problems. Always separate your nutrition from your hydration (1 bottle for each). Cyclist often gets confused when they use 1 bottle for both. Electrolytes are to the body as like “oil is to car”. Over prolonged distances it is crucial to take added electrolytes in the right format. 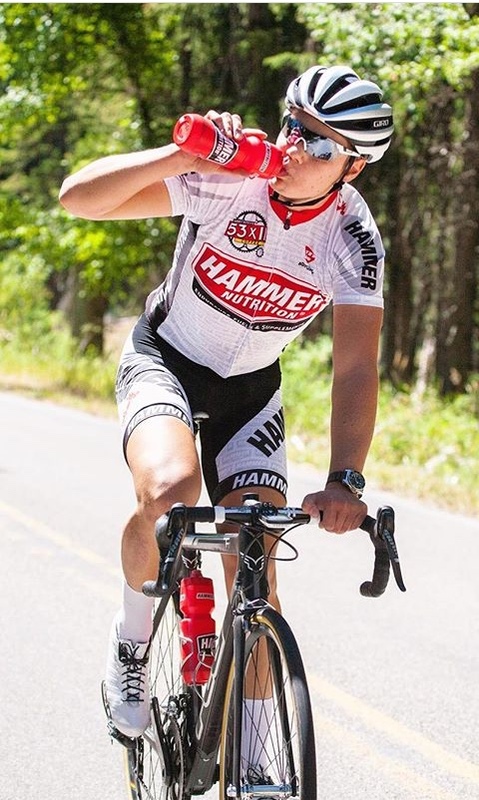 Hammer has 2 ways of providing Electrolytes in the form of Endurolytes or Endurolytes FIZZ. Both are formulated to provide an excellent cross section of Electrolytes. Salt Tablets only contain sodium and Potassium; you will need a full cross section of Electrolytes (Vitamin B6, Calcium, Magnesium, Manganese, Chloride, Sodium, Potassium, and Tyrosine). Over dosing with Magnesium can have a laxative effect. Consider flavour fatigue if going for an extended time. Ensure the amount of fuel is kept below 350 calories per hour. Time the use of caffeine in towards the end of a ride. Caffeine is a stimulant, whilst there is an upside there is also a downside. Keep fluid intake during exercise between 590-750/ml per hour. 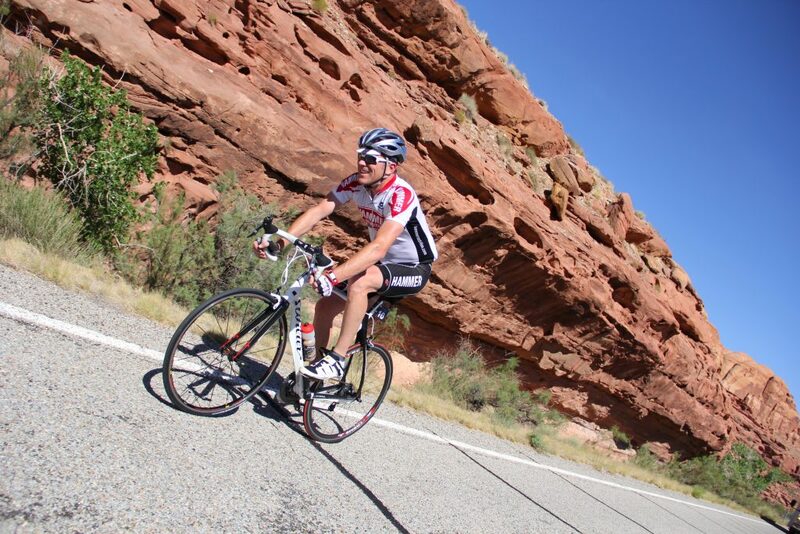 Only consume complex carbohydrates until the last 30-45 minutes of the ride. Use some form of extra electrolyte supplementation for cramp prevention. Trial your nutritional plan as much as possible leading up to the race. Be aware of Flavour fatigue – vary your fuels if need be. 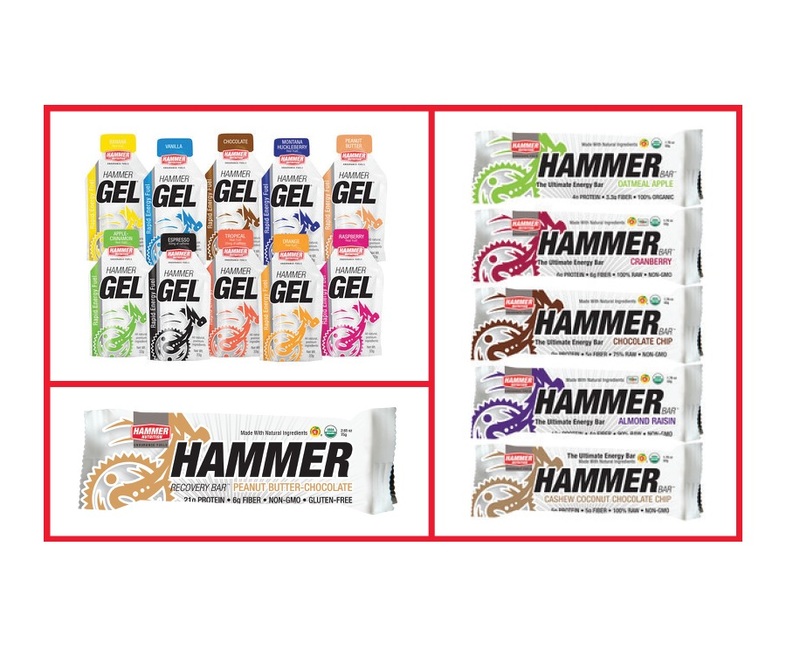 Hammer recommends using Perpetuem, Hammer Gels as the main base product Hammer Bars and FIZZ/Endurolytes. Unique carb/protein/fat formula for maximum endurance.